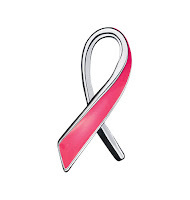 bx92Miyzm9HEFkaEhYzly8BCg8g ~Mommy's Moments~: Did you know OCTOBER is Breast Cancer Awarenss Month?? Did you know OCTOBER is Breast Cancer Awarenss Month?? It’s October... Breast Cancer Awareness Month. And Avon invites you to help make our dream to Kiss Breast Cancer Goodbye come true. Through various fundraising initiatives like the Avon Walk for Breast Cancer, the Avon Breast Cancer Crusade has raised and donated nearly $700 million since it was founded in 1992. Avon funding supports cutting-edge research, breast cancer awareness and education, mammogram screening and diagnosis ...plus access to medical services that provide quality care. Check out the Avon Lips for Life Tote and help Kiss Breast Cancer Goodbye — together we can save lives! Avon believes that when women are empowered they can make their dreams a beautiful reality!